Becoming the global authority in sports event registration through focused user experience and a strong brand story. We set out to clearly articulate RegisterNow’s vision and mission statement through crafting a brand that is strong, modern, dynamic and fluid visual brand that connects with and empower users to register, engage and interact with the brand and the platform. After reimagining the company vision and mission statement, I lead the design of a new system that would connect the everyday athlete (the user) to events near them and inspire event organisers to host events on the platform. 01. Craft & articulate the Register Now brand, identity + position. 02. Create an engaging user-focused experience, that is mobile first. 03. Engage with the primary personas, who will attract and inspire event organisers. 04. Discover and design highly functional features, focused on search, event discovery and content resources. 05. Collect and deliver data to provide real insights. 06. Become the authority on sports events. 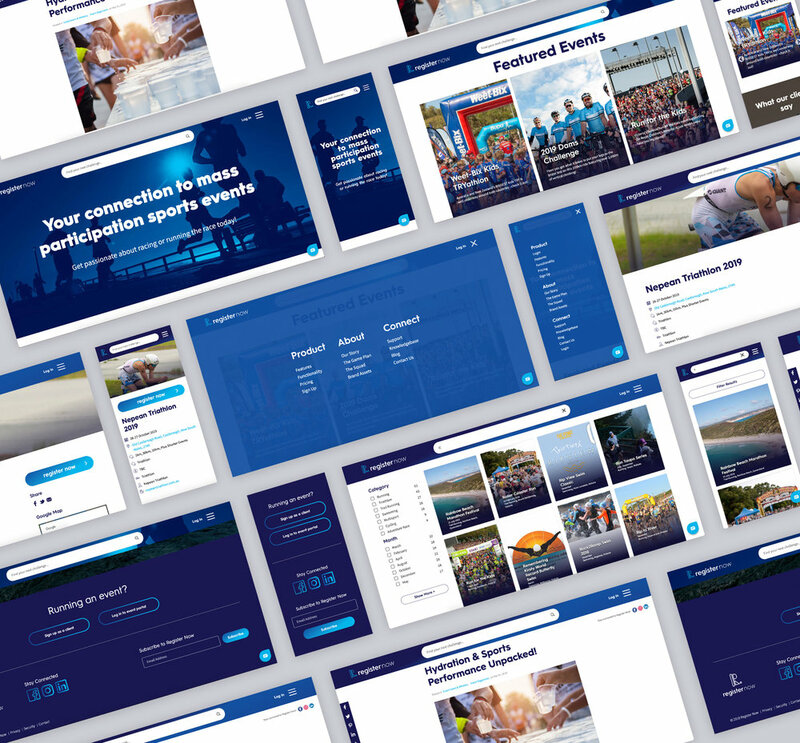 Achieving a modern, dynamic identity with a strong brand story and a user-focused website, that will allow RegisterNow to produce engaging events and content that will inspire both athletes but also the event organisers.